I have a vivid memory of singing “God made the sea and God made me” in our Methodist worship when I was in first grade. There were many aspects of that experience that are memorable, but the words in my head have remained connected to that melody since I learned it. Years later, and miles away from that Methodist church, I remember what I sang. Together, words and music are powerful. We remember what we sing. Not long ago, we were a society of music makers. Families of many generations, gathered regularly with instruments to sing and dance together, in shared community. They gathered in celebration, in prayer, and in sorrow, searching for strength, identity and opportunities to connect. Music offers us these intangible gifts, supporting our prayers of the heart. My high school age daughter wrote recently that she thinks God speaks to her through music. I am grateful and prayerful that she will remember what she sings, perhaps when it matters most. We live in a culture these days, where music consumption is at our fingertips and our choices are unlimited. We search for music that makes us feel good, and supports our everyday lives, not because we plan to perform it, but because it serves us in so many other ways. Music is compelling and calls us into action. 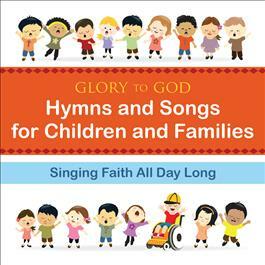 The vision for our CD “Singing Faith All Day Long” is to support families in a musical and faith building way; to guide their listening, praying and joyful singing together at home or wherever they may be; to offer beautiful, meaningful music experiences that help them to know and remember we are ALL children of God. Faith is built one personal experience at a time, for us and our children. It is strengthened throughout our lives, and integrating these music experiences and poetic prayers into the fabric of your daily life makes them accessible and real in an everyday, normal kind of way. They become a part of your parental “tool kit”, serving you and your children for years to come. Together, you will remember what you sing. Perhaps when it matters most. One of the reasons I am compelled to work with children and youth is because of the authenticity they offer every day. Our children know what is important. They observe, listen and are infinitely capable of living fully in a deeply meaning-filled experience. They help me define what is most important and they bring perspective and beauty in ways I could never plan. My son was three years old when he ran to the pulpit, grabbed the microphone and declared, “God loves us!” I’m not sure there was anything more important I wanted him to know. And now that he is a teenager, in a world less than ready to support his developing faith, I pray he can call upon the reservoir of experiences that are planted and rooted in childhood, and continue to grow them throughout his life. I want my children to be able to sing in worship as adults, to appreciate and participate in the beauty of a sacred music moment, and raise their voices with confidence to the glory of God. This is my prayer for you as well: May you and your children find ways, like “Singing Faith All Day Long”, that guide you, nourish you, and grow the developing seeds of faith every day, for years to come. I pray you will remember what you sing, when you need it most. 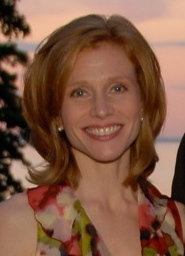 Ingrid Ladendorf is Associate Director of Choirs for Children and Youth at Nassau Presbyterian Church, Princeton, NJ; an adjunct faculty member in music education at The College of New Jersey; and the Early Childhood Advisor for The Diller-Quaide School for Music in New York City. She has degrees in music performance and music education from Ithaca College and Teachers College, Columbia University, New York City. Ingrid is a soloist on “Singing the Faith All Day Long” and wrote suggestions for parents to use this CD, which can be found at www.pcusastore.com/SingingFaith. You can contact Ingrid at [email protected]. Will we see you at the Annual Event? Look for us during Topic Forums on Wednesday from 1-2:30 pm in Jones, 3rd floor Suite Tower. Drop in and share your ideas for writers and topics for the Advocate!